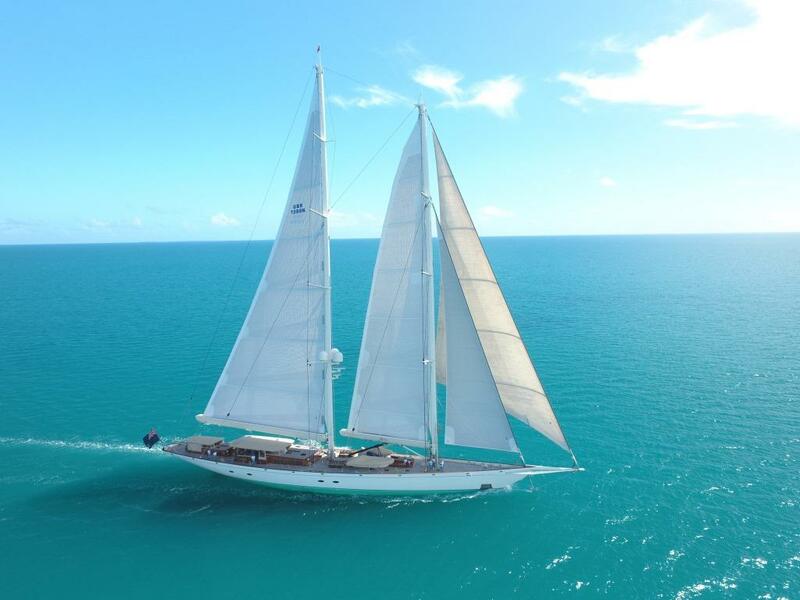 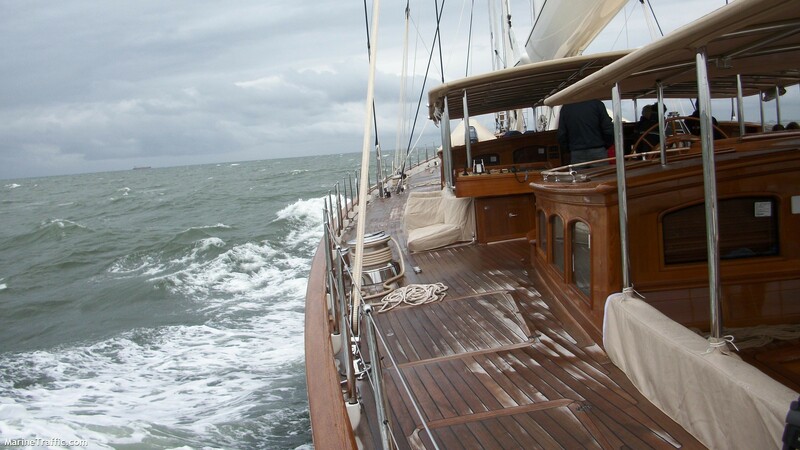 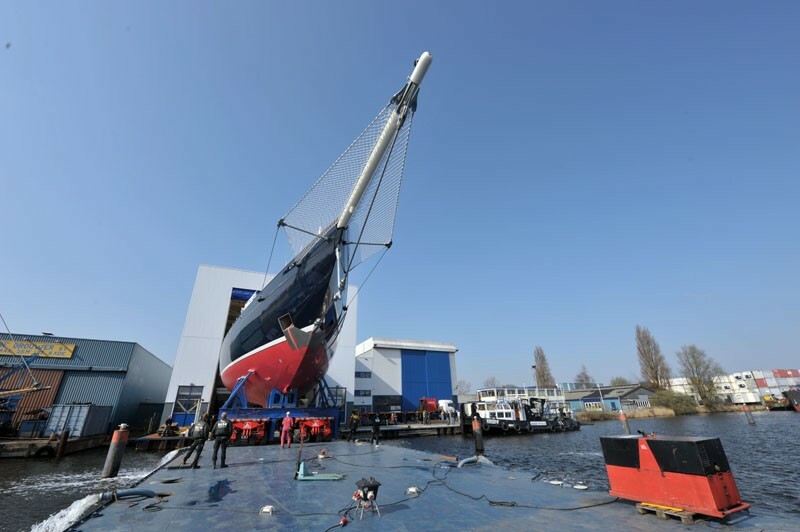 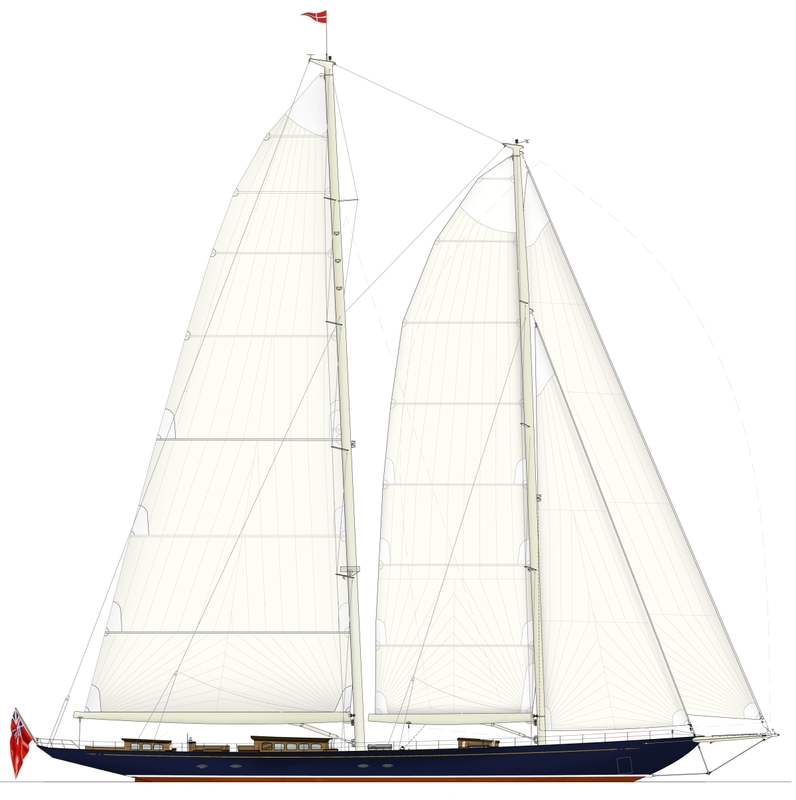 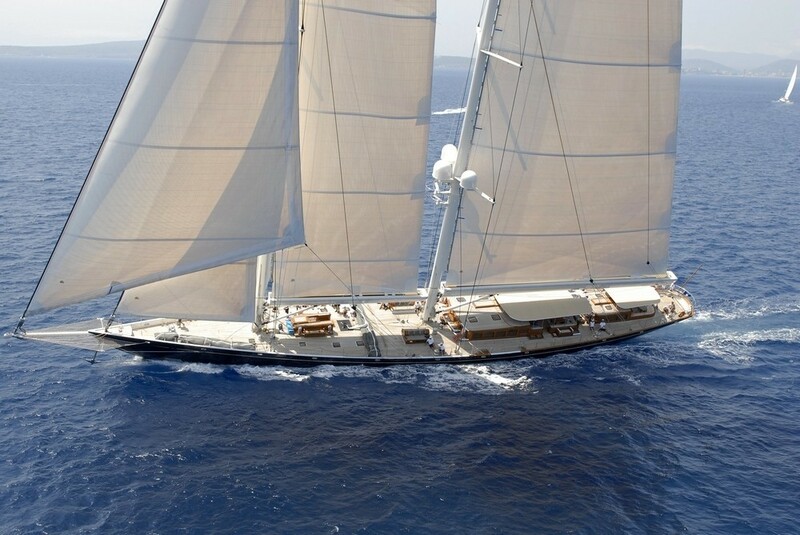 Sailing yacht ATHOS is a 62 meter (203ft) double-masted schooner, built by Holland Yachtbouw and launched in 2010. 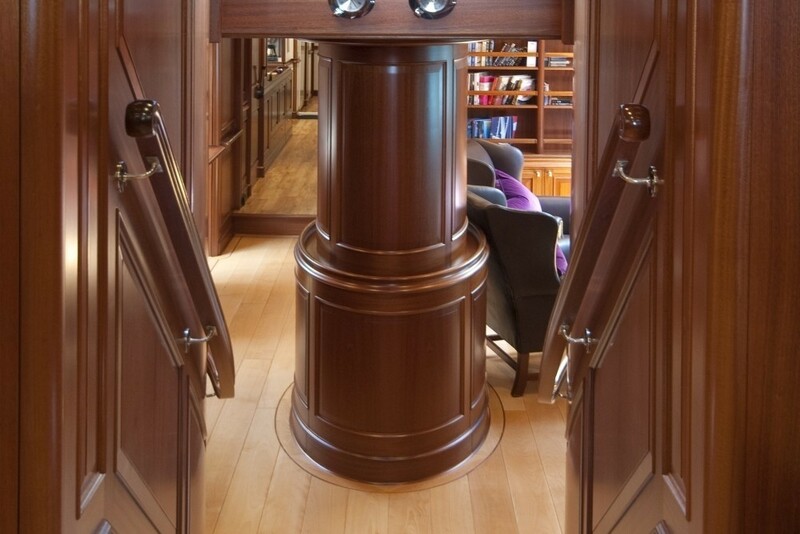 ATHOS superyacht is custom made, designed by Hoek Design Naval Architects. 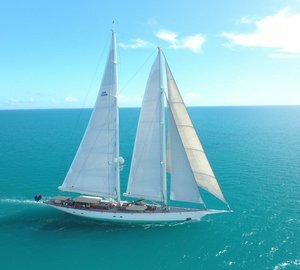 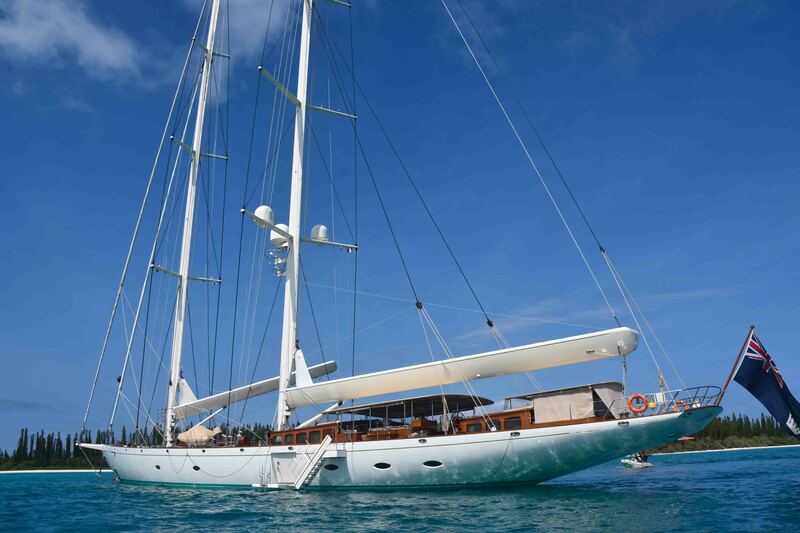 Sailing yacht ATHOS is available for charter in the Mediterranean in the summer and the Caribbean during the winter, she offers deluxe accommodation for up to 10 guests in 5 en-suite cabins. 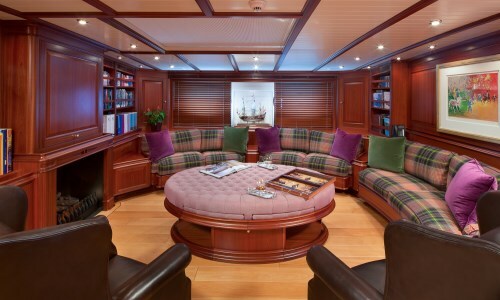 Crewed charter yacht ATHOS boasts a contemporary elegant interior décor, featuring a fabulous combination of woods such as maple, mahogany, anigre, cherry and pear, complimented by supple leathers, stylish fabrics and a traditional flair. 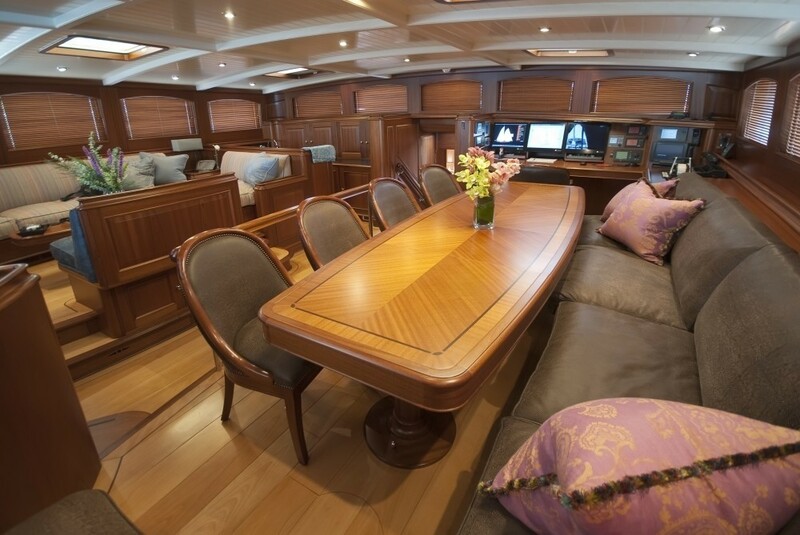 The upper salon is spacious and offers a formal dining table and opposing seating area with U shaped sofa and coffee table. 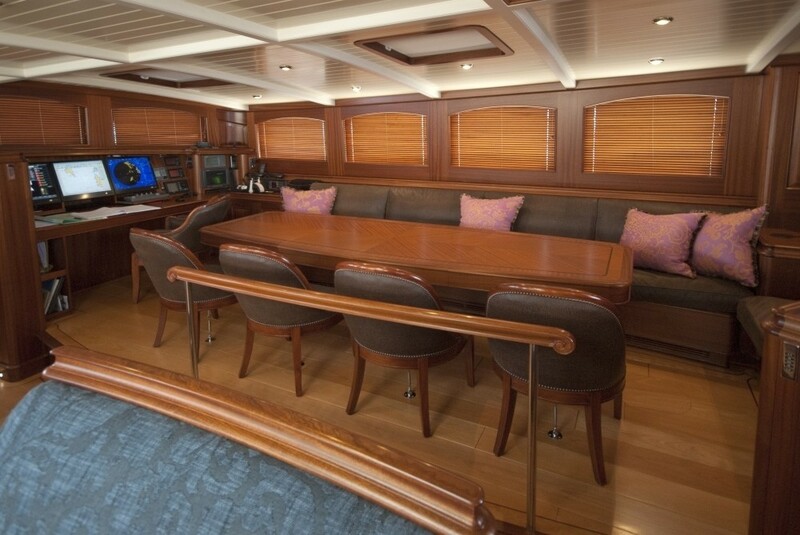 The formal dining table converts into 2 games tables, ideal of a casual game of cards. 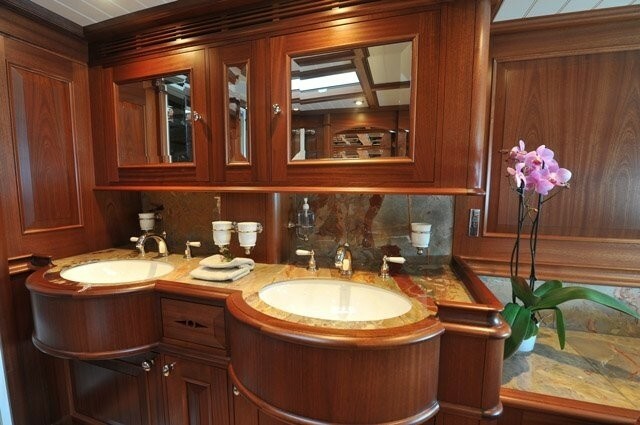 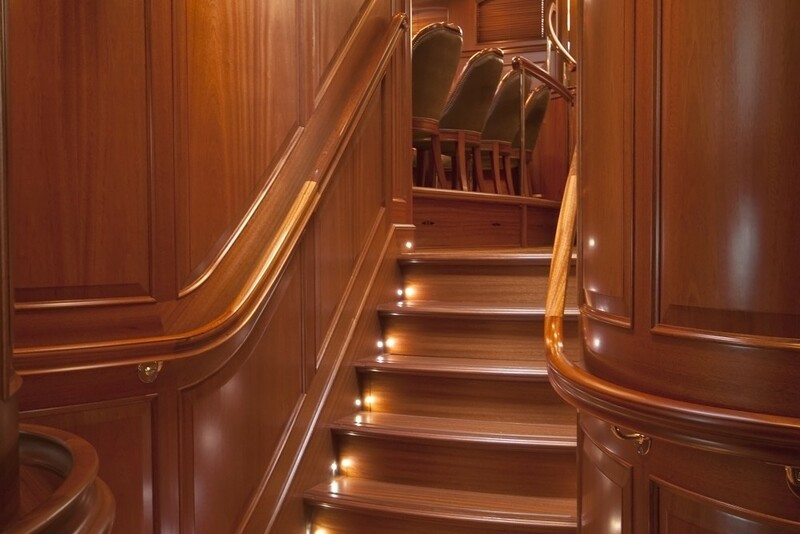 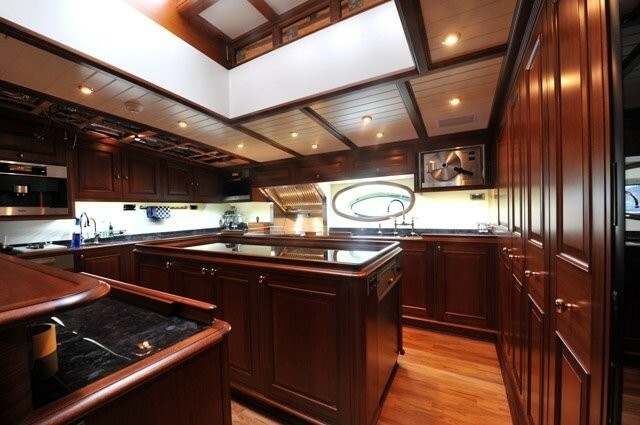 Forward to port, the upper salon boasts a complete wet bar, perfect for entertaining. 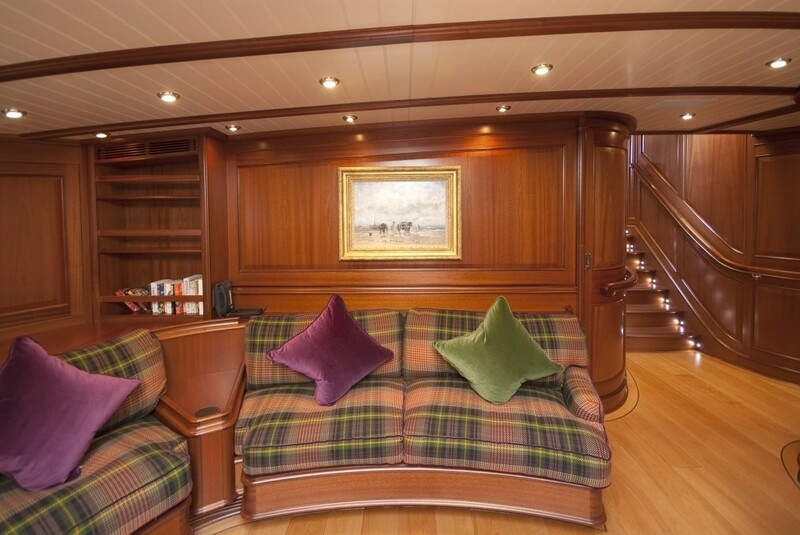 ATHOS’s lower salon is ideal for relaxing boasting a comfortable sofa, occasional chairs, custom pouf with extending foot rests and intimate fire place. 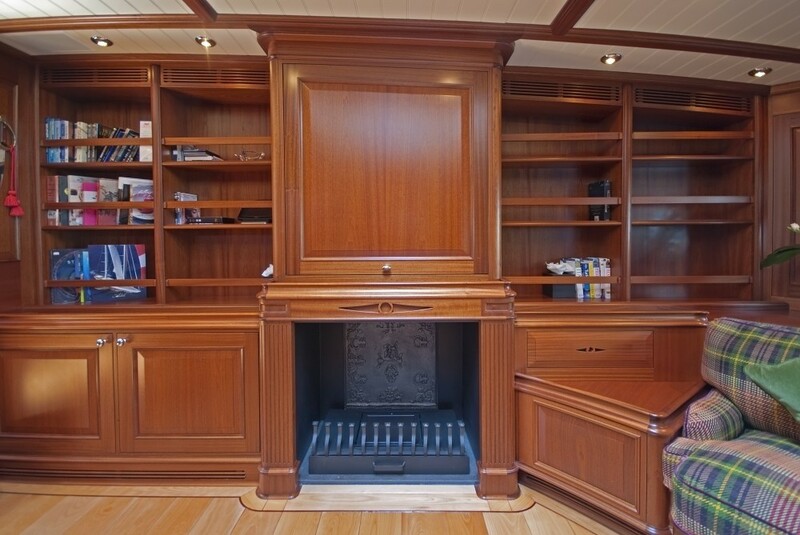 The galley is to port of the lower salon and can be incorporated as an open plan, or closed for added privacy, it is fitted with the finest of Miele equipment, ensuring the best in delectable culinary delights. 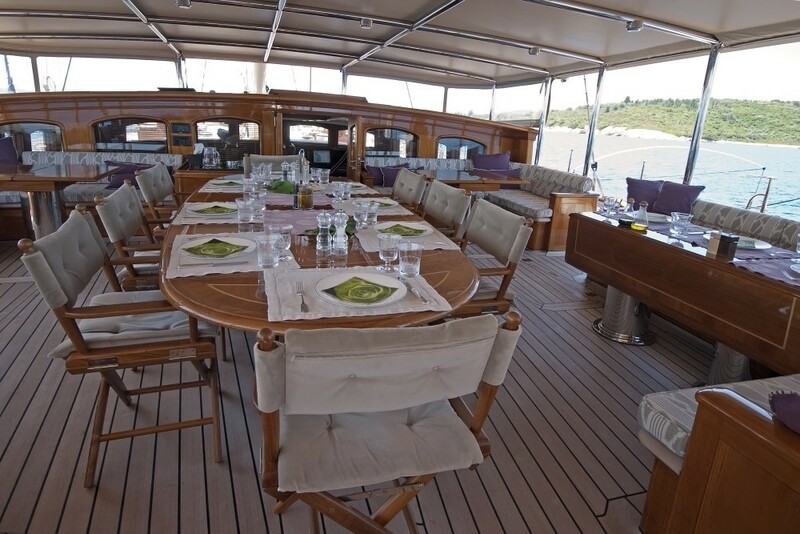 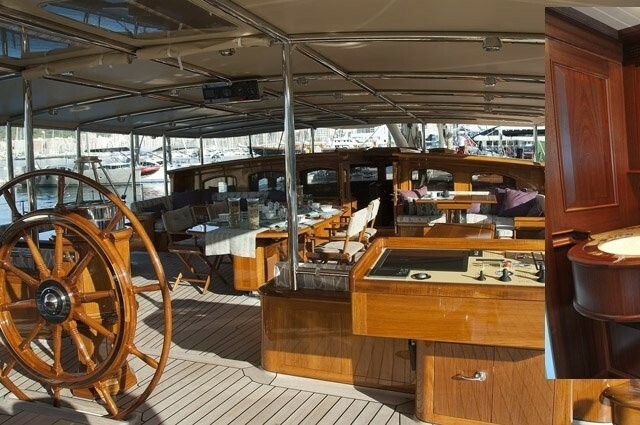 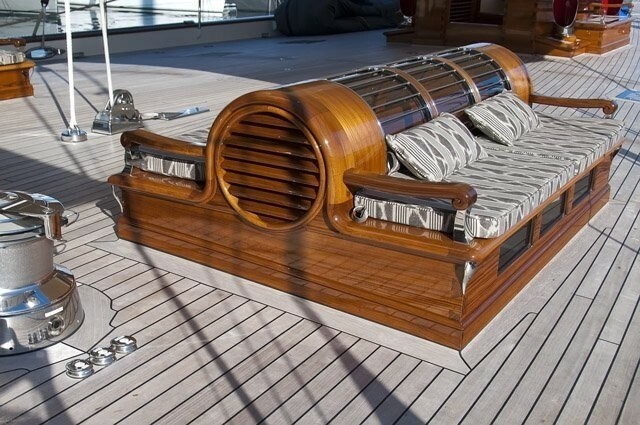 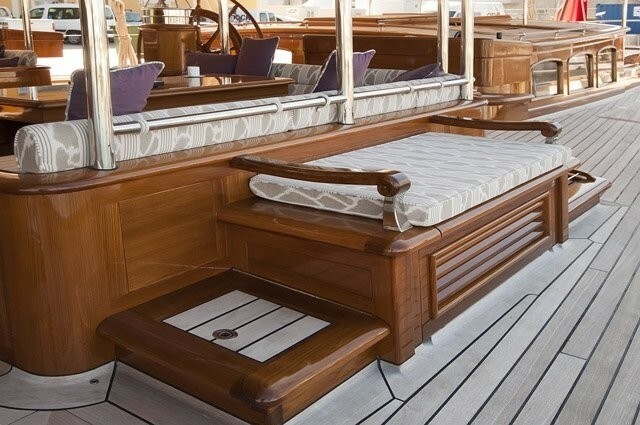 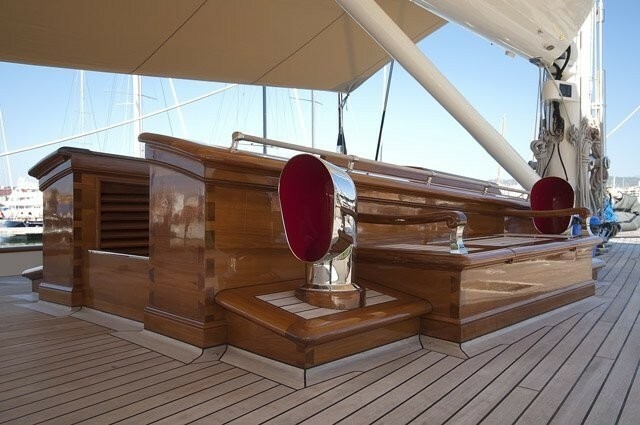 Exterior deck space is ample aboard the luxury sailing schooner ATHOS. 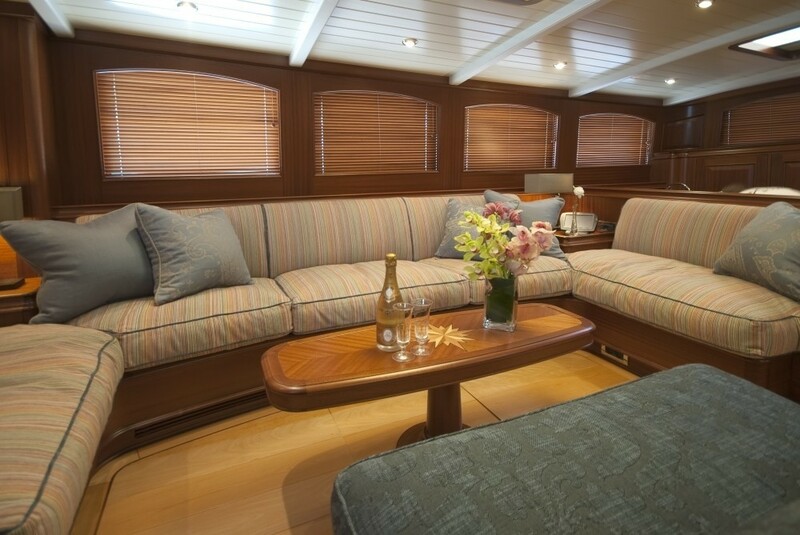 Aft of the upper salon, guests are offered a large shaded main cockpit area, with plenty of seating, a casual alfresco dining table, perfect for the kids and a formal alfresco dining table. 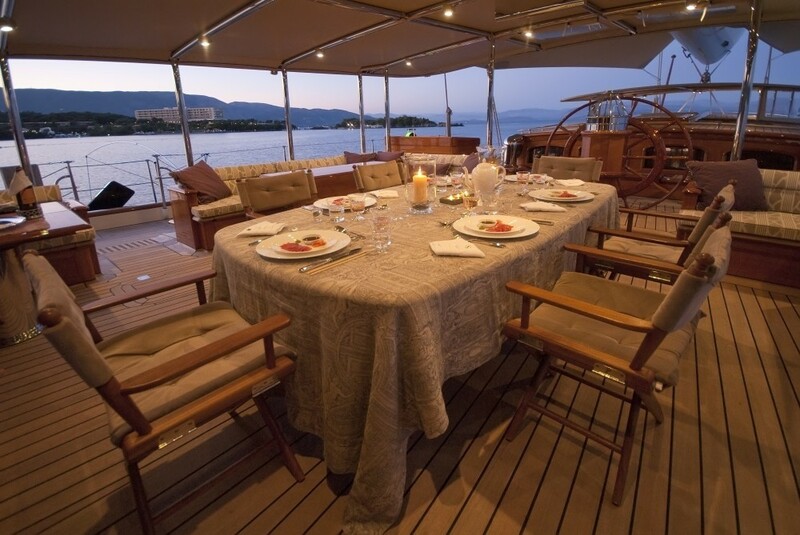 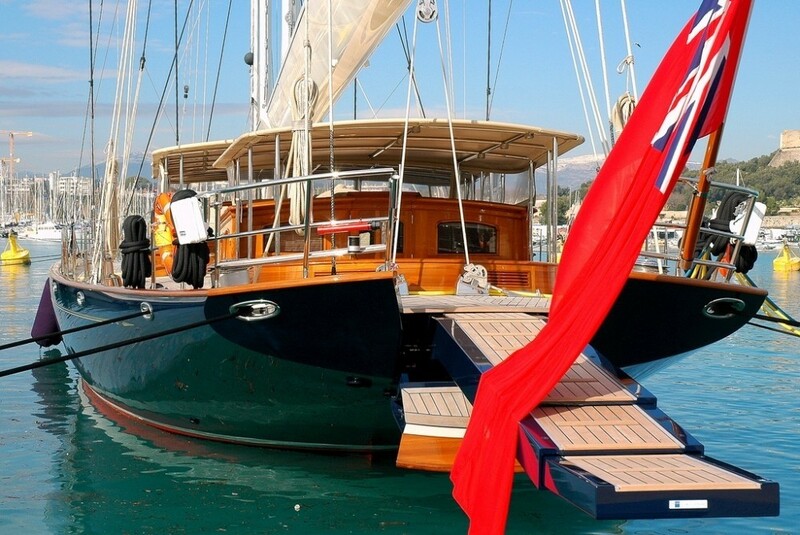 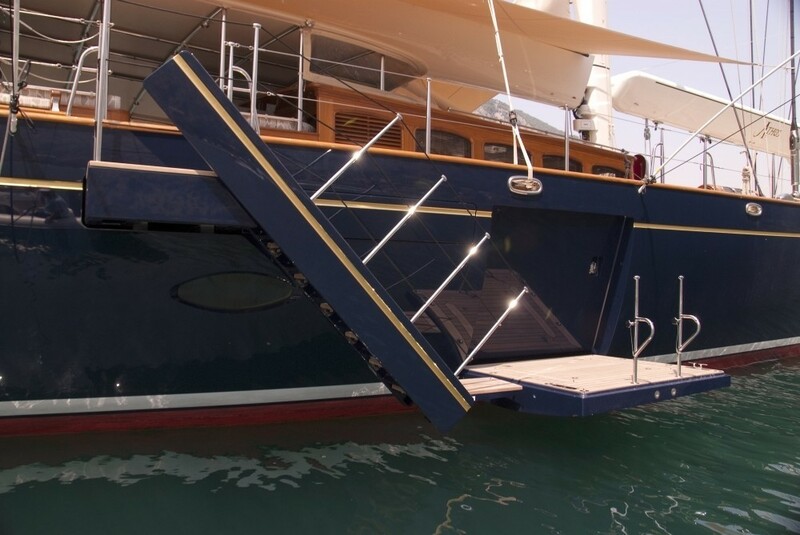 Charter yacht ATHOS has a generous beam of 10.8m (35.7ft) and flush decks, providing easy access fore and aft. 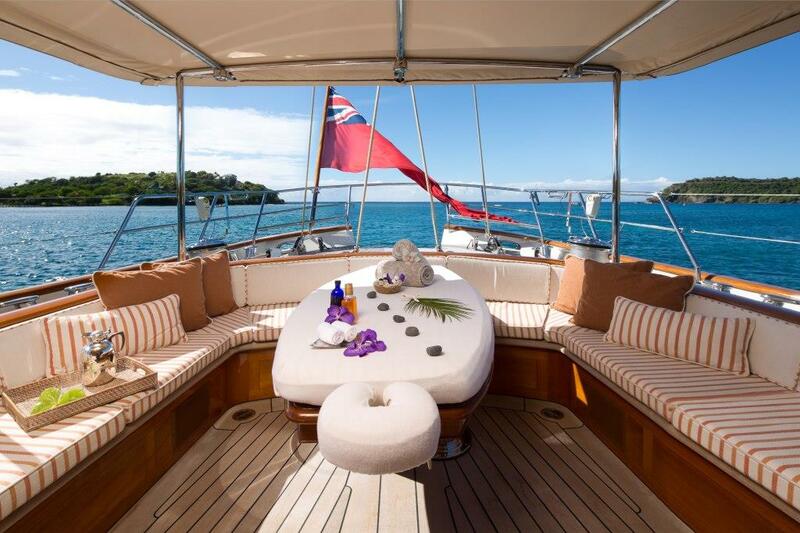 Forward are plenty of areas to relax and sunbathe. Aft of the main cockpit, a further deck house has the owners study, followed by a private owners cockpit, with wrap around seating and an adjustable alfresco dining table. 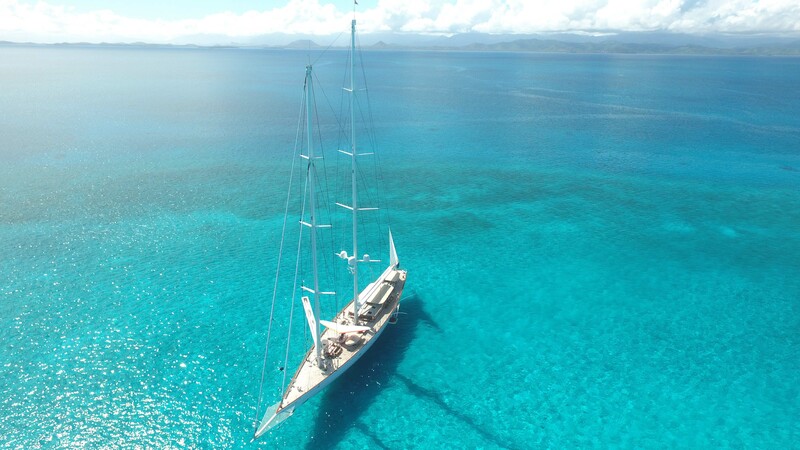 The Holland Yachtbouw ATHOS yacht has a maximum draught of 7.80 meters (25.59ft) and is powered by twin Volvo 651hp D16C-A MH EVC engines, capable of cruising at 10 knots. 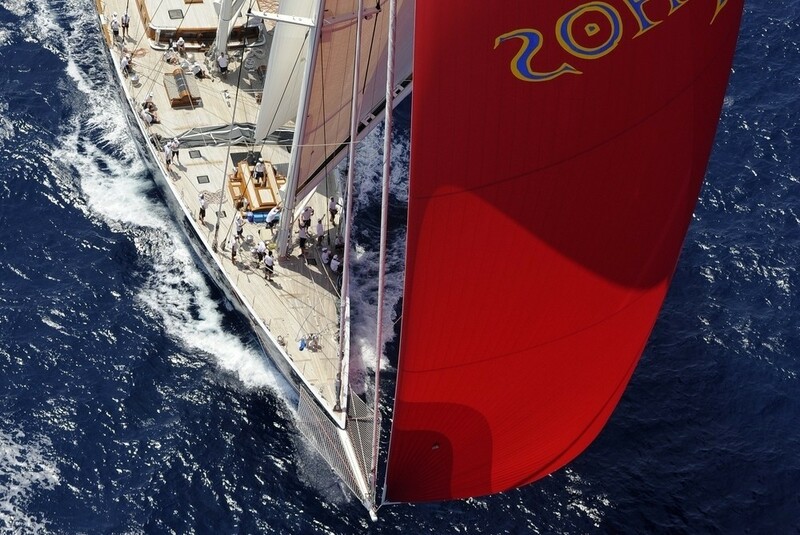 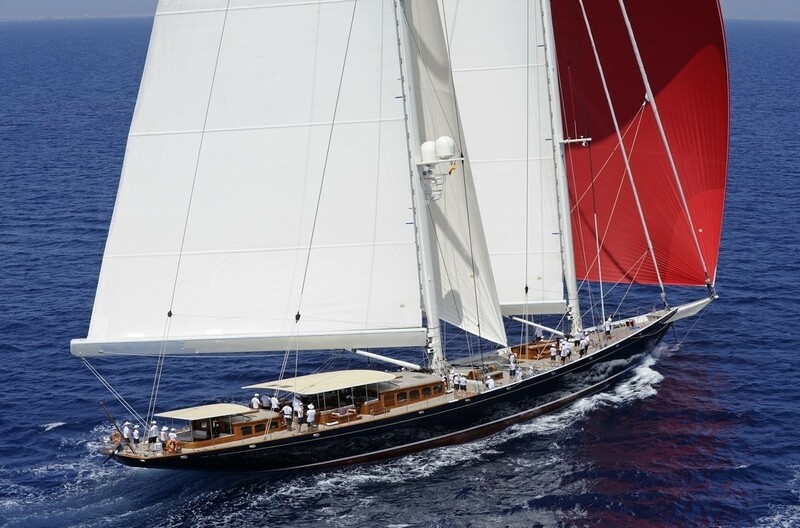 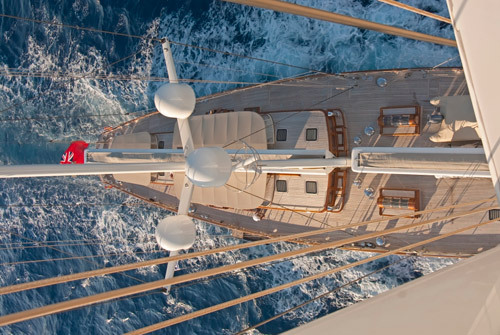 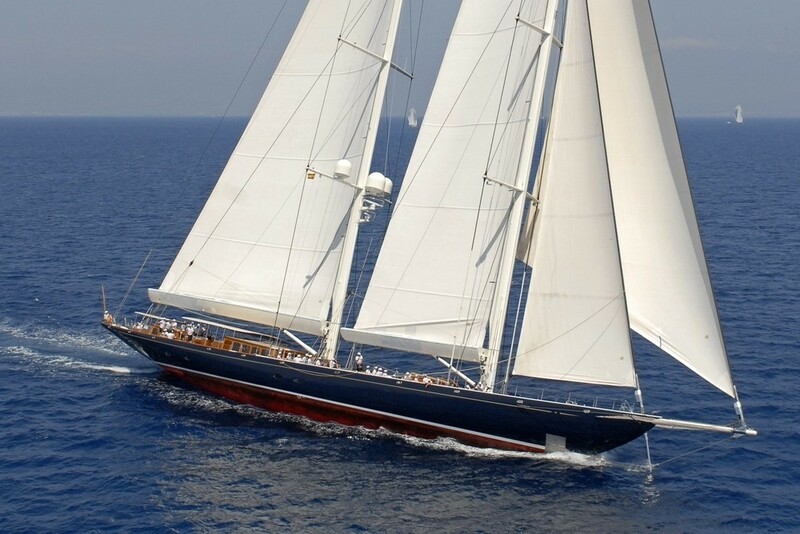 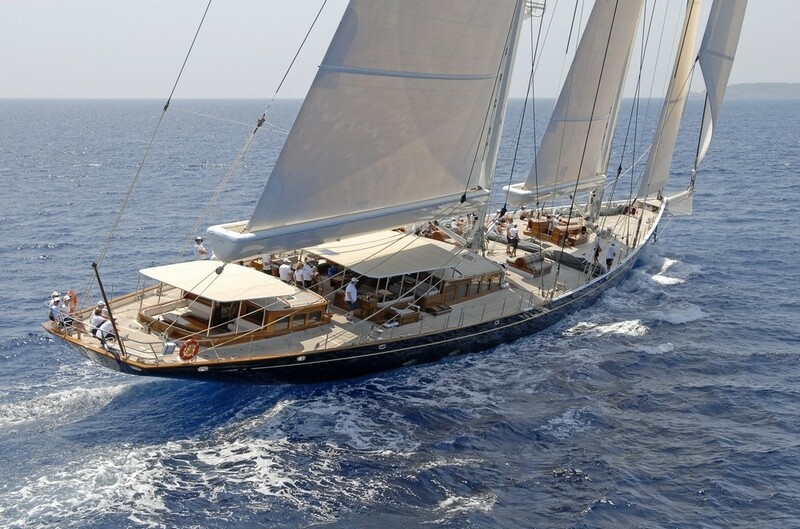 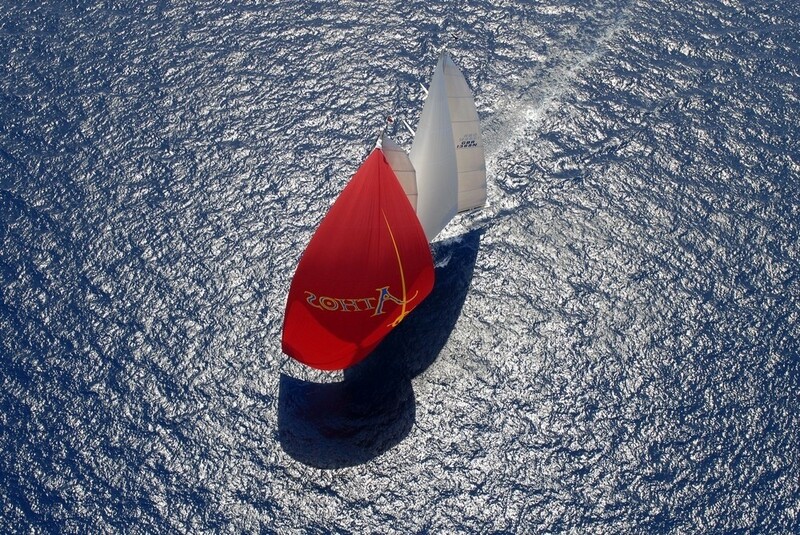 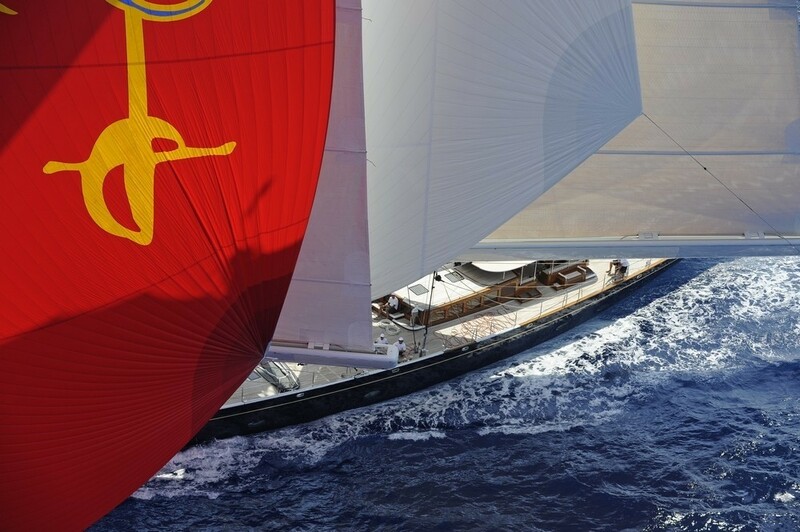 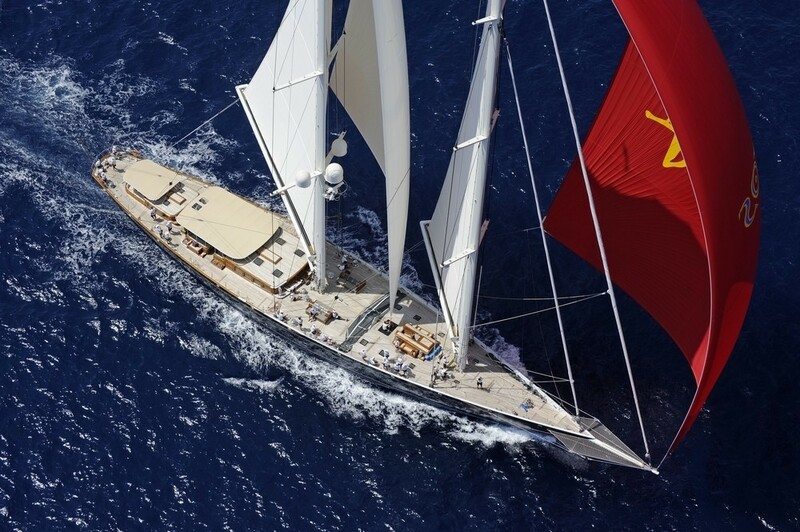 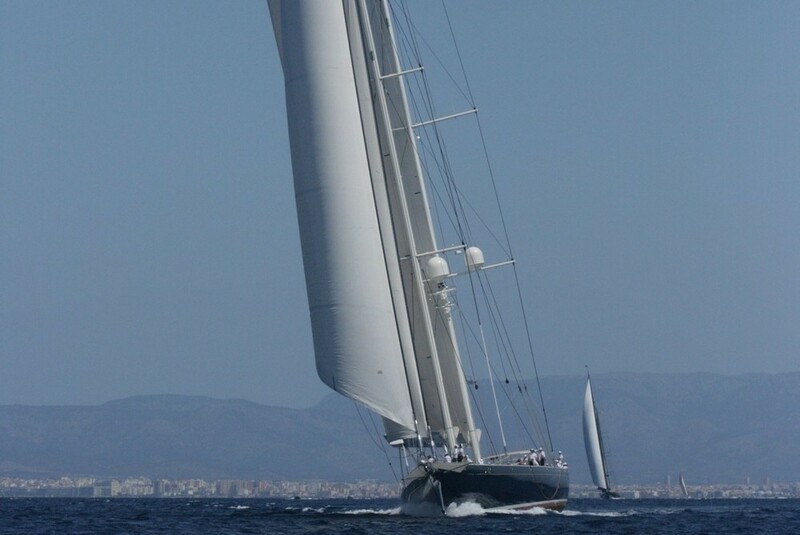 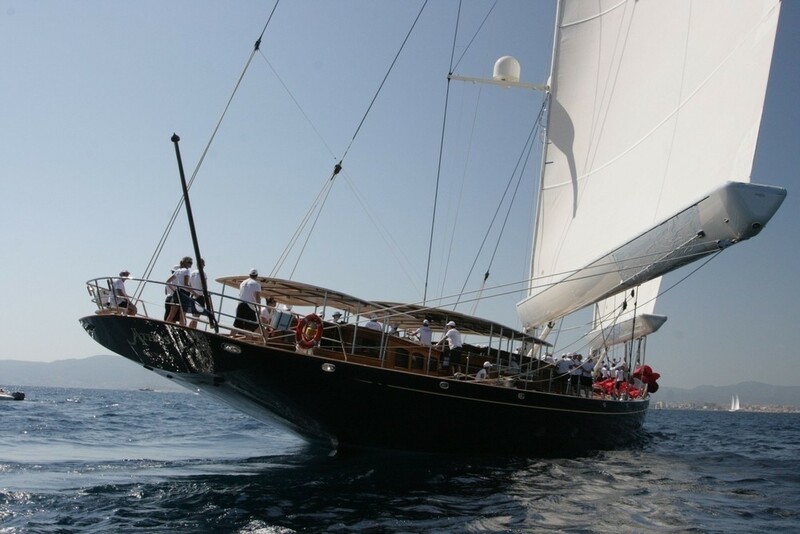 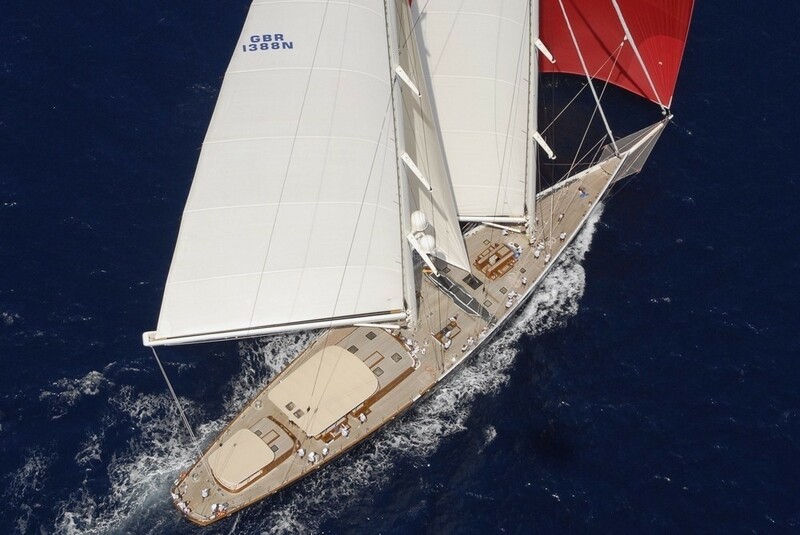 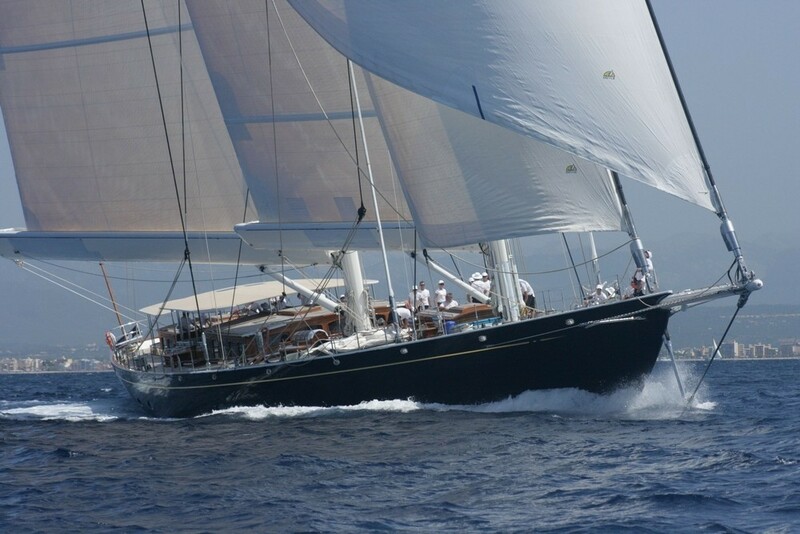 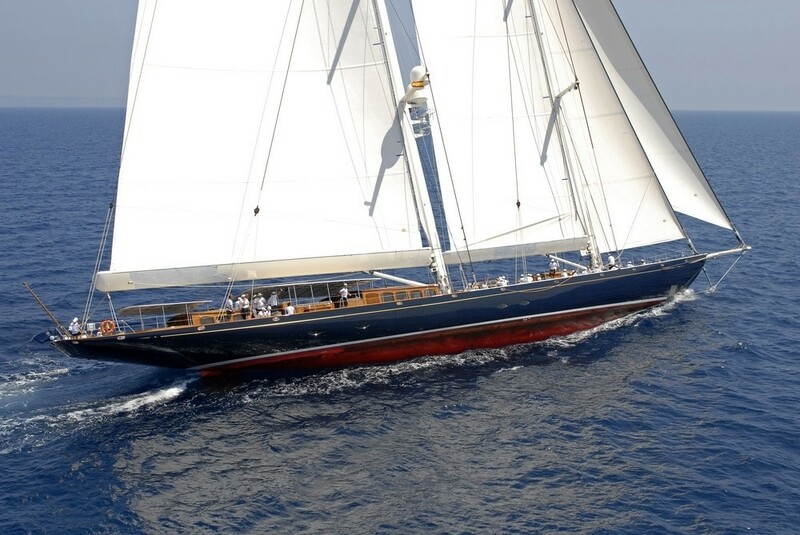 The super yacht ATHOS has an impressive sail area of 1762m2 (5784ft2) Doyle sails. 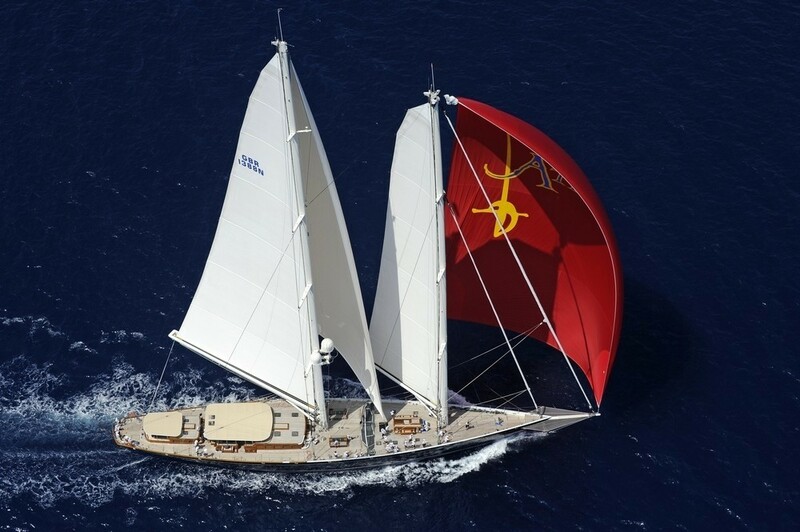 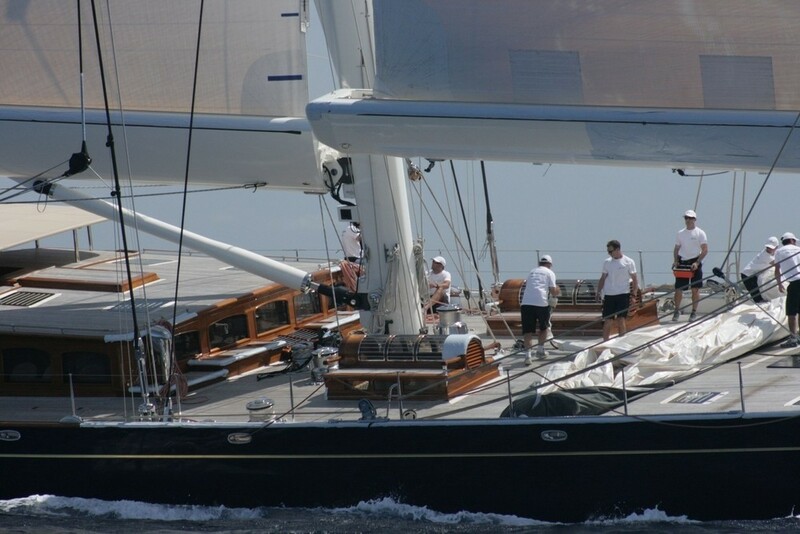 Her rigging is by Smart Rigging with Rondal spars. 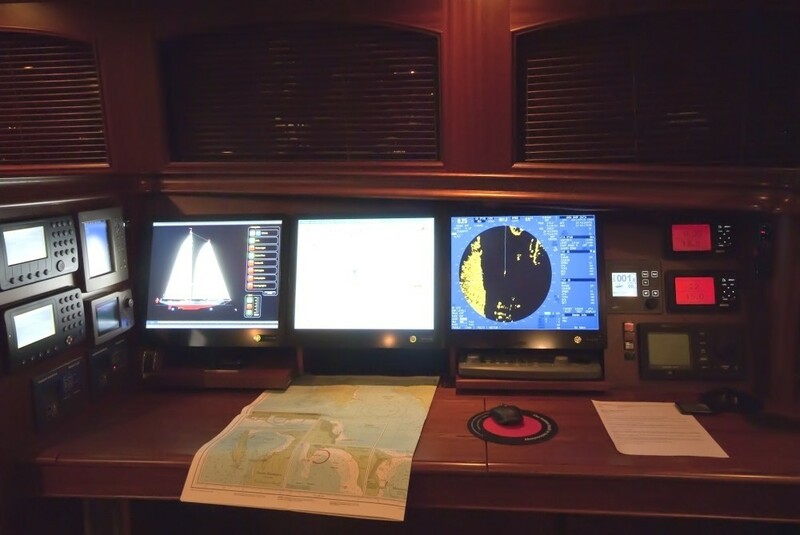 All deck hardware was provided by Lewmar and her navigation instruments by Brooke & Gatehouse. 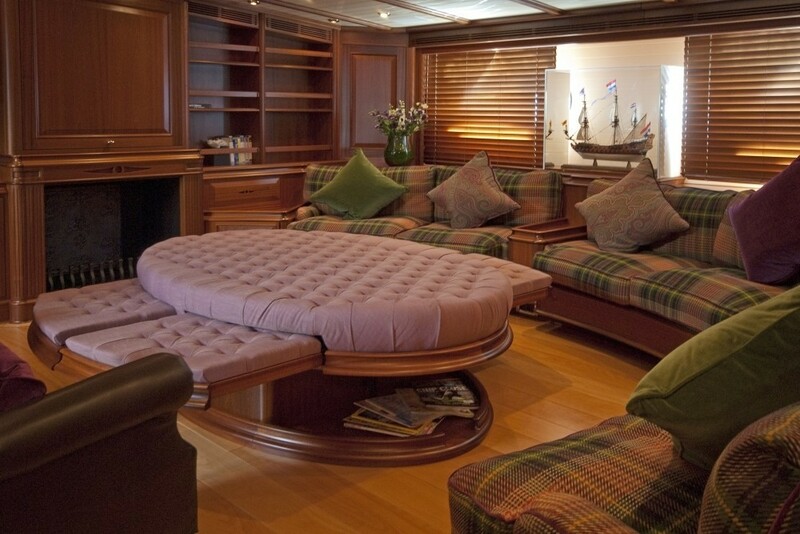 The 62m (203ft) luxury yacht ATHOS accommodates up to 10 guests, in 5 deluxe cabins below decks. 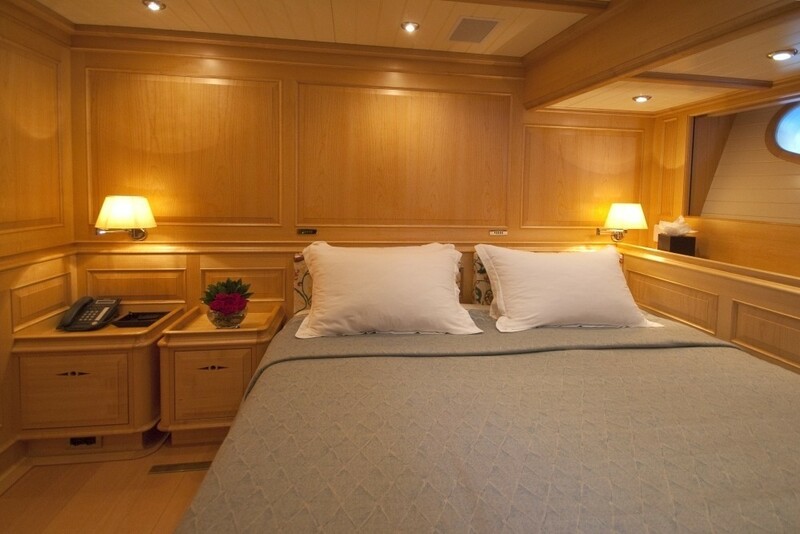 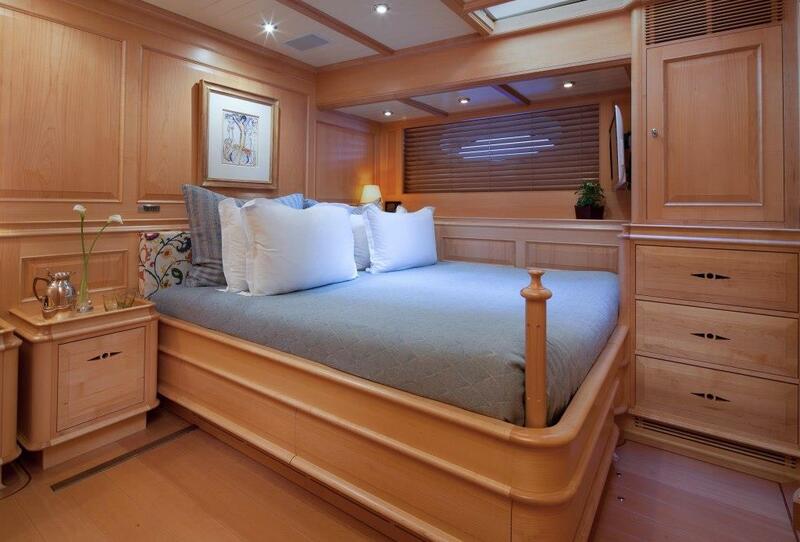 The master stateroom is aft with a full beam layout, king size bed, sofa, vanity/desk and en-suite with bath, shower/steam room and his and his sinks. 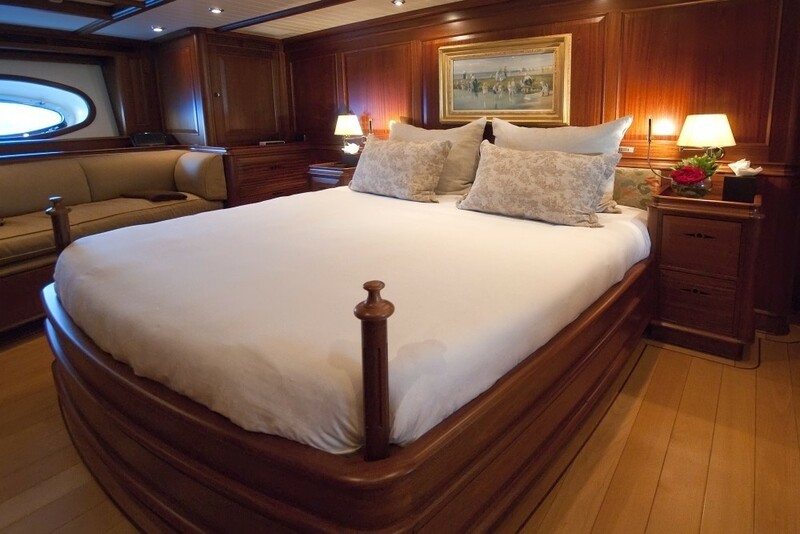 The master stateroom also includes and upper lounge/study and private cockpit, complete with wrap around seating and alfresco dining. 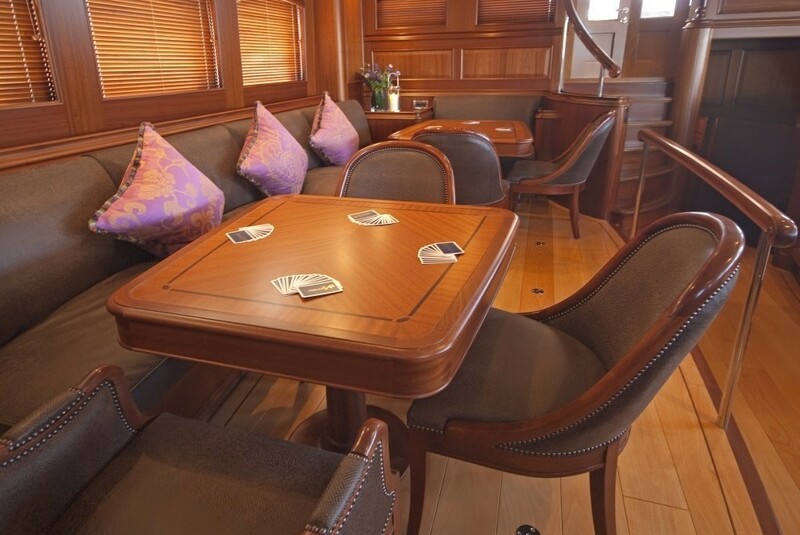 Two guest cabins offer double beds, settee, pull out desk and Pullman berth each. 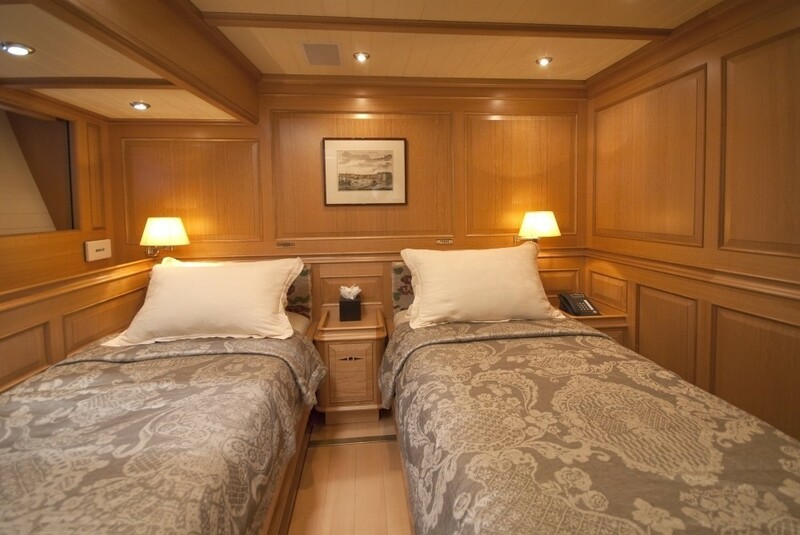 A further 2 cabins offer side by side single beds, with the ability to convert into double beds. 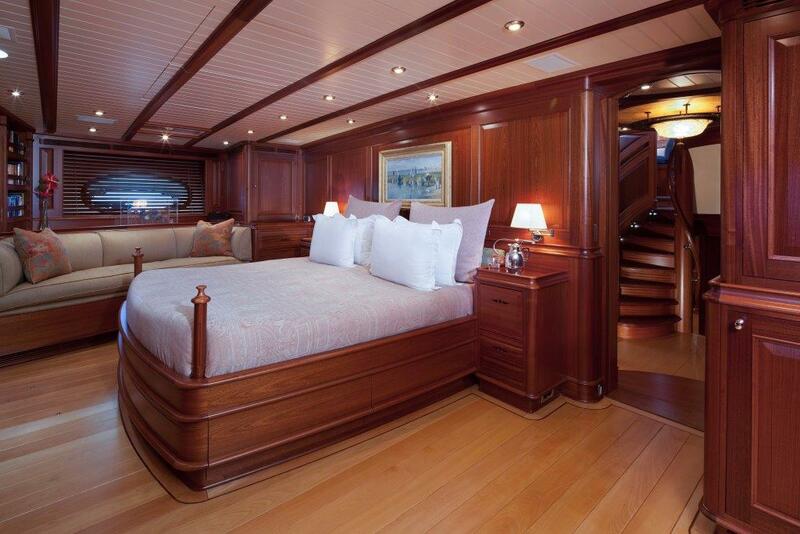 Each cabin features en-suite facilities, full entertainment systems and a unique tasteful décor. 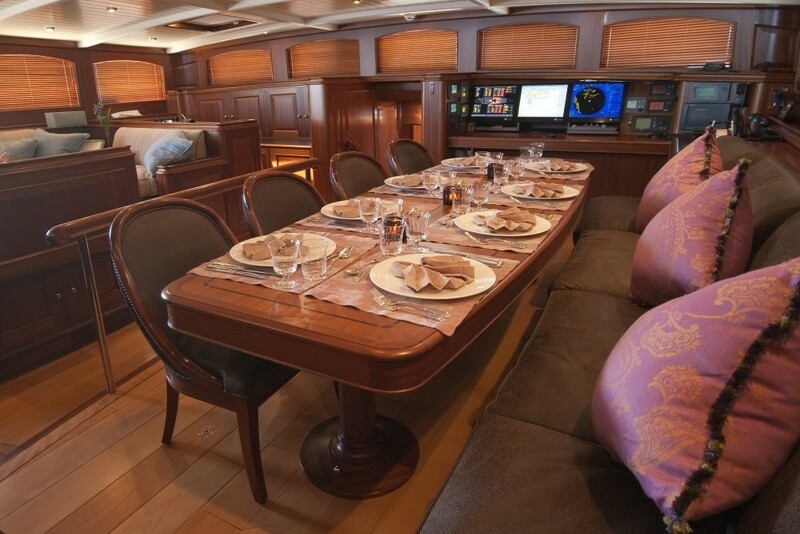 Superyacht ATHOS also features a crew galley, five crew cabins, and a separate engineer´s area for the captain, including an integrated control room.